In my post on Anna Wickham, I was a little skeptical of Peter Cotes’ claim that she spent a lot of time with Elvira, post-trial ( see https://elvirabarney.wordpress.com/2011/11/22/anna-wickham/) .What I may have missed is the fact that Anna Wickham knew Napper Dean Paul, the two having met in the Fitzroy Tavern on Charlotte Street. If there was a relationship between the two women, Napper may well be the link. 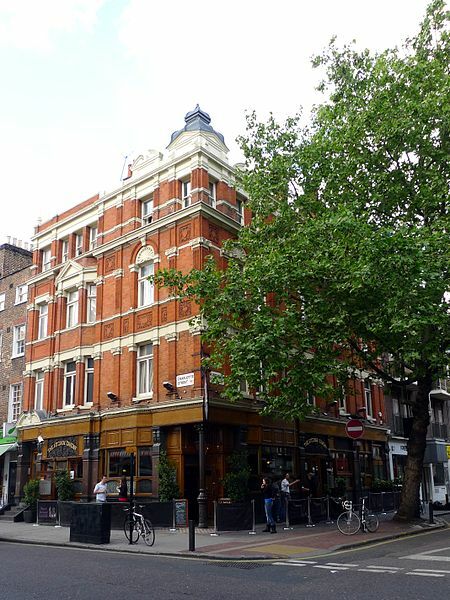 The Fitzroy was the pub that bequeathed the name to the geographical and ideological space that was previously known as “North Soho”. 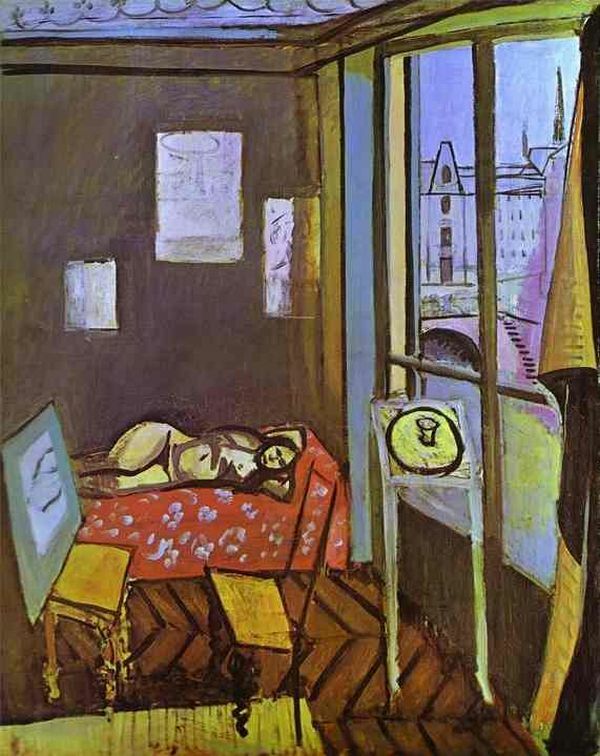 Although there were plenty of artists knocking around,It was predominantly a literary pub and drinking club culture, very different to Chelsea or the “raffish pseudo-smart Bohemia” of Elvira’s friends. Its most famous resident figure was Dylan Thomas, the most representative female denizens were Betty May and Nina Hamnett, its great chronicler was Julian MacLaren Ross and its highpoint was probably the years of the Second World War. Like many sub-cultural spaces, it was not hermetically sealed and the overlaps between Cafe Royal Bohemia,Fitzrovia, Soho Proper, Chelsea, Bloomsbury and the remnants of the Bright Young People are many and various. 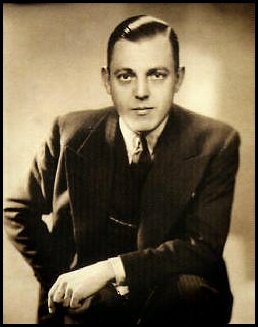 According to Hugh David, in The Fitzrovians, the impulse which created “Fitzrovia” (the name came later; ironically it was coined by Tom Driberg , a prominent Bright Young Person) was the the invasion, by Smart Society, of previous Bohemian haunts such as the Eiffel Tower Restaurant in Soho. Genuine Bohemians, principally Augustus John and Nina Hamnett, turned to certain pubs which they thought would not appeal to the fashionable and frivolous. This may well be true but the example David gives is unfortunate. Now, if Hugh David thinks that Ruth and Jo represent mainstream smart society , then he just hasn’t done his homework. To me, the quote actually illustrates an even more complex relationship between the different strands of “alternative” London in the period than generally assumed. 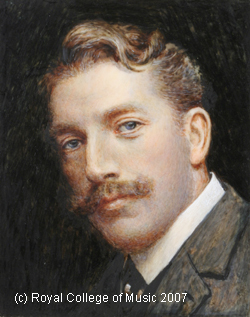 Nonetheless, it is true that a section of (largely male) artists and writers deliberately distanced themselves ( publicly at least) from the more “Mayfair” aspects of the High Bohemia of the twenties. 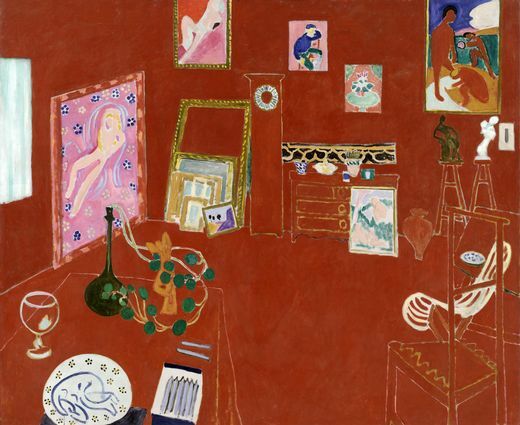 Part of impulse for this move was down to an overt rejection of the decidedly upper-class ambience of both Bloomsbury and Mayfair, part of it was simply a shift in cultural mood between the 1920s and 1930s. In some cases, it was purely economic, pub life being somewhat cheaper than the life on the salon and night-club circuit. For Napper, it was probably the latter, as these were very lean years for him. Although the newspapers of the 1930s focussed on Brenda’s exploits, Brian Dean Paul’s tribulations were every bit as dramatic and his decline every bit as steep.Never in possession of much money, he was now reduced to borrowing from his dwindling band of friends, shoplifting and stealing objects from the homes of anyone foolish enough to let him stay with them.Many found him an unsavoury figure some were sorry for him (the phrase “poor Napper” crops up frequently) . One or two people do appear to have genuinely liked him. 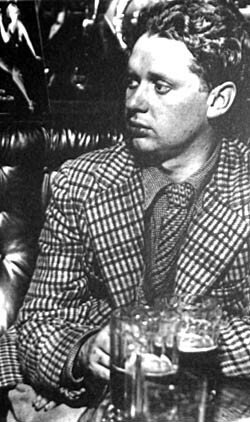 One of those, improbable as it may seem, was Dylan Thomas, another associate of Anna Wickham and himself not always the most gracious of house guests. The following anecdote, from Andrew Lycett’s biography of Thomas, illustrates something of the chaos of Dylan and Napper’s existence. It takes place at the beginning of the War in the London home of the South African writer, Lorna Wilmot. “Over the previous three years there had been strong indications that Dylan had been taking drugs. 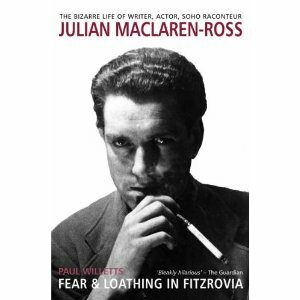 His paranoia following his trip to London in December 1938 strongly suggests a reaction to a bad drug experience. His association with Napper Dean Paul confirms his involvement with London’s prevalent drug sub-culture.” – which was news to me but does make sense. All this took place after Elvira’s death but if Napper, Anna and Dylan had all met prior to 1936 (which is likely) then Elvira might also have been around. I still can’t see her sitting comfortably in the Wheatsheaf or the Fitzroy but their clientele included familiar faces such as John Banting, Barbara Ker-Seymer and, occasionally, Brian Howard, which might have made her feel more at home.Remember, Elvira post-trial was something of an outcast herself and the louche and the liquor-fuelled were never exactly anathema to her. Curiously, during his Fitzrovia period Napper married (disastrously, I imagine) Muriel Lillie. 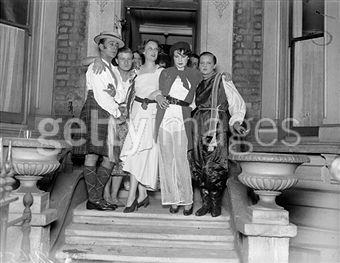 Muriel was the elder sister of comedienne and cabaret star Beatrice Lillie, who though now Lady Peel, had her own history of association with drug scandals. 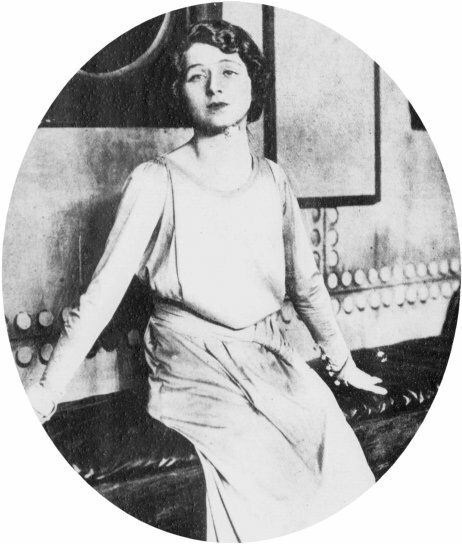 Early in her career she had been a close friend of Billie Carleton, whose death by overdose after the 1918 Victory Ball had triggered the first great “moral panic” over women and cocaine use. The ghost of Billie Carleton hovered over the whole inter-war drug scene, the scandal inspired Coward’s play “The Vortex” and her name cropped up in many a discussion about the presumed imminent demise of the wayward Brenda. 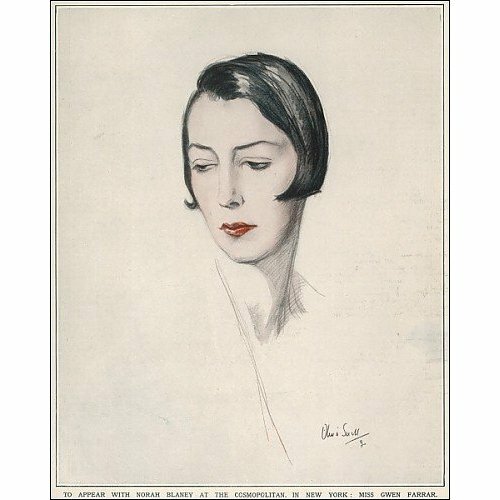 Gwendoline Farrar (1898-1944) appears in so many inter-War reminiscences and autobiographies that I am surprised that nobody has deemed her worthy of a full length biography. Talented, eccentric and independent, she was as distinctive a character as any associated with Upper-Bohemia or The Bright Young People. 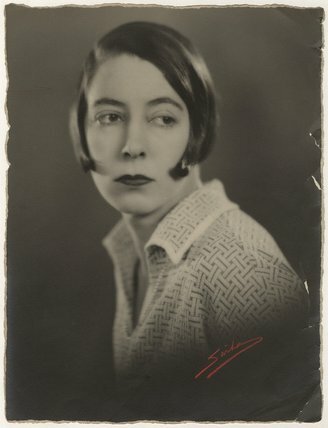 Her connection to Elvira cannot be proved but, given that she was a hard-partying Chelsea resident and very close to Audrey Carten, Jo Carstairs and Ruth Baldwin, she moved in similar circles. The upper echelons of the Bright Young People, Waugh’s beloved but, to me, rather unappealing “Guiness Set”, rather dismissed her as she was a little older than them and too much part of “popular culture”. Zita Jungman, sounding rather like the Victorian matriarchs her generation are supposed to have rebelled against, recalled, “Gwen Farrar was someone one saw on the stage… one didn’t see her socially.” – a statement as generally untrue as it is snobbish.Plenty of the 20s’ set saw her “socially”, at parties at her London address or out on the town, often accompanied by her friend and fellow free-spirit, Tallulah Bankhead. Born into wealth and privilege, her father, Sir George Herbert Farrar, had South African mining interests, she had no more need to seek employment than Elvira or the Jungman sisters. In 1915 she inherited (along with her five sisters) a fortune that would allow her to purchase 217 King’s Road and a country house in Northamptonshire. She studied classical music and was taught cello by Herbert Walenn, England’s leading exponent of the instrument. She also developed a remarkable baritone speaking voice which she was to use to great effect in her future career. During the First World War she joined Lena Ashwell’s company, entertaining the troops in France and Belgium. This forerunner of ENSA was established to bring high-culture to the ordinary soldiers but included lighter interludes. Elvira had a natural gift for comedy and began to develop an “act”. 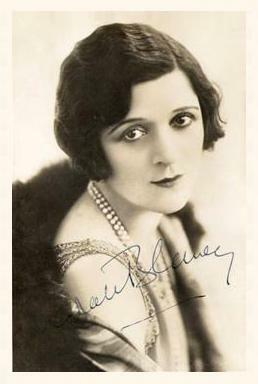 She met pianist and singer, Norah Blaney, and they formed an on and off-stage partnership that thrived in the early twenties. By 1925 , both were household names. Their duets, usually renditions of hits of the day, were often masterpieces of innuendo, Blaney taking the “female” role and Gwen the “male”. Completely heterosexual lyrics were cleverly subverted. Most of the public remained innocent but those in the know “knew”, as it were. 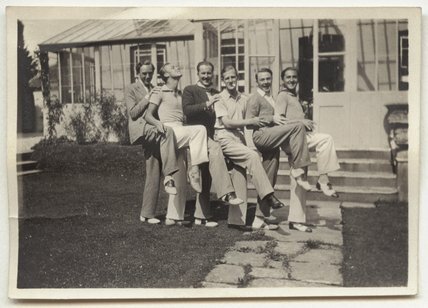 They appeared in newsreel shorts, on early sound film experiments, in revues and West End shows, Music Hall and on the radio. 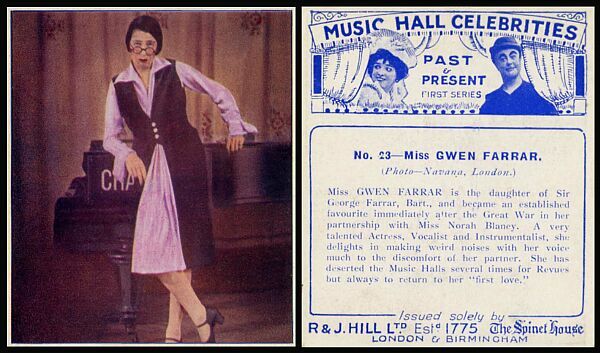 Away from the stage, Gwen Farrar was becoming known for hosting parties where serious drinking was the order of the day. She moved in several distinct but occasionally overlapping Lesbian subcultures. 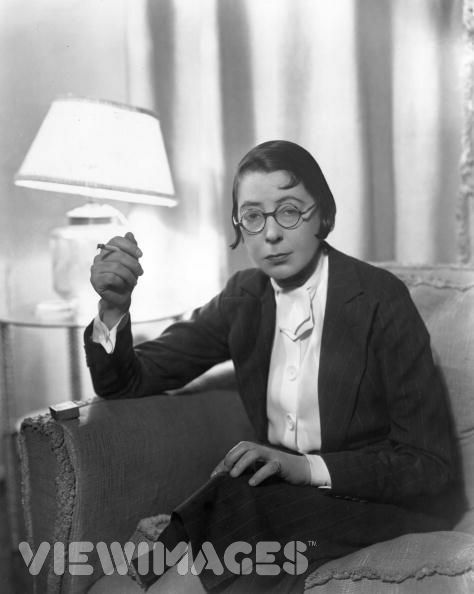 She knew Radclyffe Hall, Teddie Gerrard and from 1923 was very close to Jo Carstairs, who named her speedboat Newg after her. 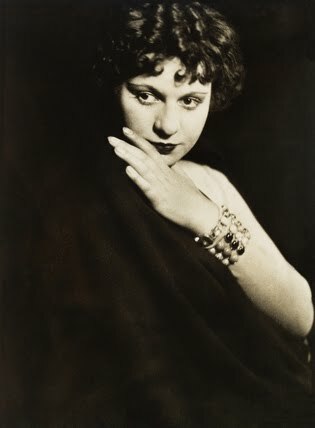 She was also taken up by Tallulah Bankhead and took part in one of the early Bright Young Thing treasure hunts with her – ferried around London by Carstairs’ all-female chauffeur service. With Audrey Carten, she was arrested for punching a policeman who tried to stop her parking outside the Savoy and she seems to have had her share of (apparently obligatory) drunken car-crashes after various parties and nights out. The partnership, professional and otherwise, with Norah Blaney ended in 1924, although they had several reunions. 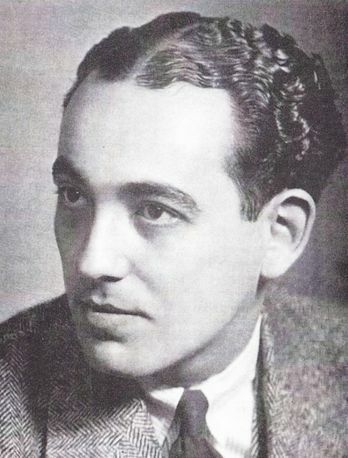 Her next major collaborator was the unjustly neglected pianist-composer Billy Mayerl, whose composition “Marigolds” was the most over-played piano piece of the inter-War years. 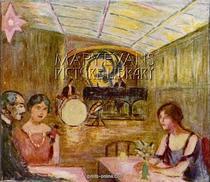 Mayerl’s mixture of classical training, his incorporation of jazz stylings and his fondness for comic pastiche suited Gwen well and she also started writing revue material at this time. Meanwhile, 217 King’s Road was becoming somewhat notorious. The location is significant. 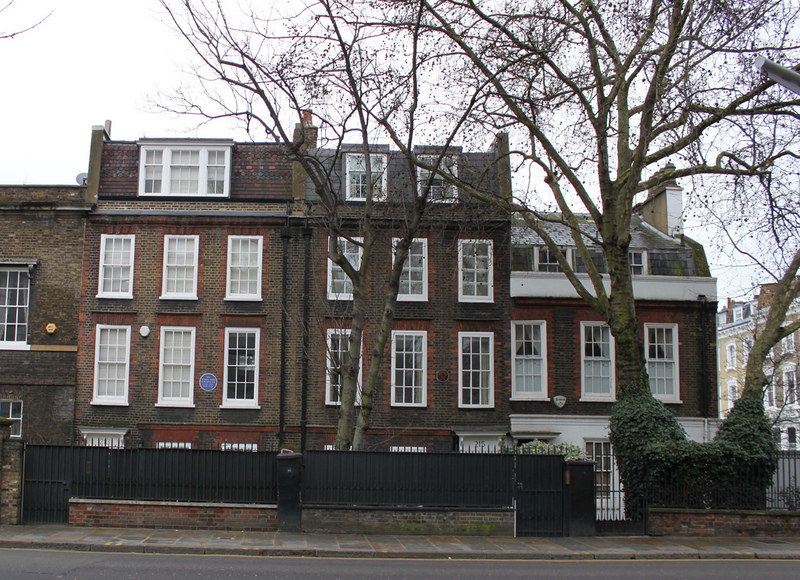 Part of a block of three houses, it was home to two other high-profile women. Lady Sybil Colefax lived at 213 and Syrie Maugham at 215. 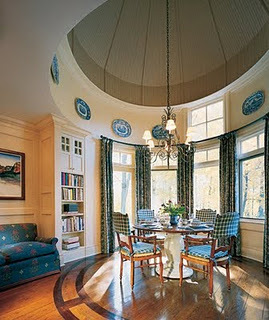 Both were interior designers – in fact both were the interior designers of their day. 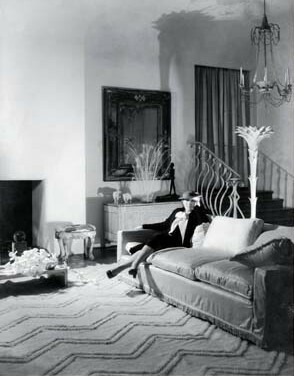 Sybil Colefax was a specialist in modernising upper-class living and drawing-rooms while Syrie, wife of Somerset Maugham, is the person who is largely responsible for the white interiors that remained dominant through to the Art Deco era. Both women were great “society hostesses” and also rivals for the most prestigious guests. Their luncheons featured the literary, artistic and aristocratic “stars” of the day. Gwen’s luncheons and her other gatherings, though sprinkled with famous names, mainly featured alcohol and “high jinks”. One of those who had access to all three establishments, the ubiquitous Beverley Nichols, described Gwen as “grotesque but endearing” and it may have been at 217 that he rejected Michael Stephen’s offer of cocaine. 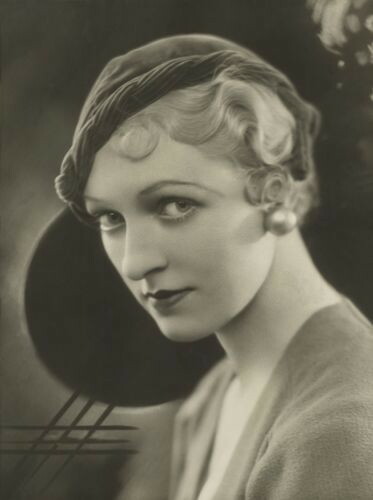 Drug use was certainly part of Gwen’s social world and by the late 1920s she was host to the racier Chelsea set, which may have included Elvira, but certainly included Olivia Wyndham, Ruth Baldwin and Audrey Carten. Though she continued to perform and write throughout the 1930s, alcoholism had now set in. Her home was said increasingly to resemble a bar. The parties continued. 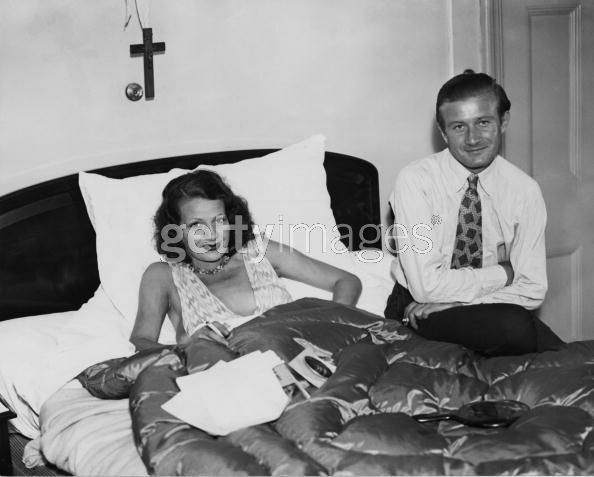 At one in 1937, while Gwen and other guests were listening to a boxing match on the radio, Ruth Baldwin died of a heroin overdose. 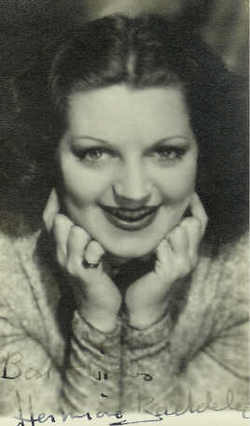 In the same year Gwen fell in love, as everyone seems to have done at some time, with Dolly Wilde who lived with her until 1939. It says something for Farrar’s lifestyle that Wilde’s former lover Natalie Barney was greatly worried about the deleterious effects on Wilde, another heroin/morphine addict, that Farrar’s endless partying was having. 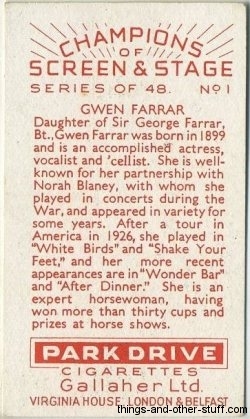 Gwen Farrar died in 1944. Hers was one of the voices of the 1920s and her looks made her probably the most public “Lesbian” icon within the popular culture of the era.Her fondness for alcohol, her closeness to Tallulah Bankhead, her love of sport (she was an expert horsewoman) and her general attitude to life would all have appealed to Elvira. Farrar’s dry humour and keen intelligence may not have made such feelings mutual but I am certain that their paths often crossed.Even if they didn’t, Farrar deserves to be better known today than she seems to be . I find her both fascinating and rather likeable. 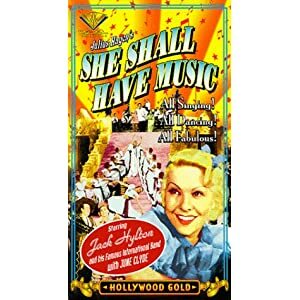 In the 1930s she made a few cameo appearances in British films – here she is in the fairly awful Jack Hylton feature “She Shall Have Music”. 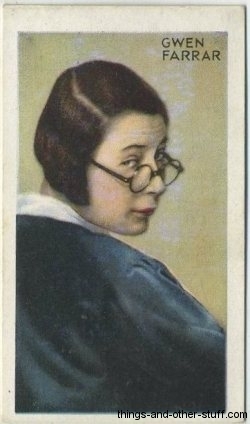 She played Miss Peachums, a stage-school “headmistress” in charge of a group of nubile young actresses. It was a role that I imagine she found amusing. 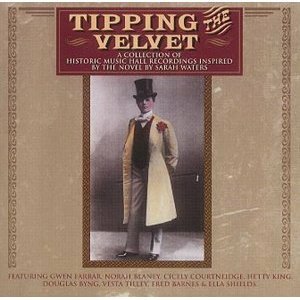 Some of her work – with Norah Blaney and Billy Mayerl can be found on this invaluable CD also available as download at Amazon etc. 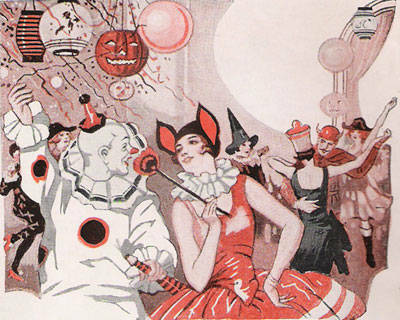 No phrase so instantly conjures up the modernity and the anti-Puritanism of the 1920s as “cocktail party”. Even today, albeit massively devalued, the term still carries a certain sense of sophisticated hedonism. Back in 1932, even though the whole country was familiar with the ritual through magazines and the cinema, there was thought to be something slightly wicked and un-English about the whole phenomenon. 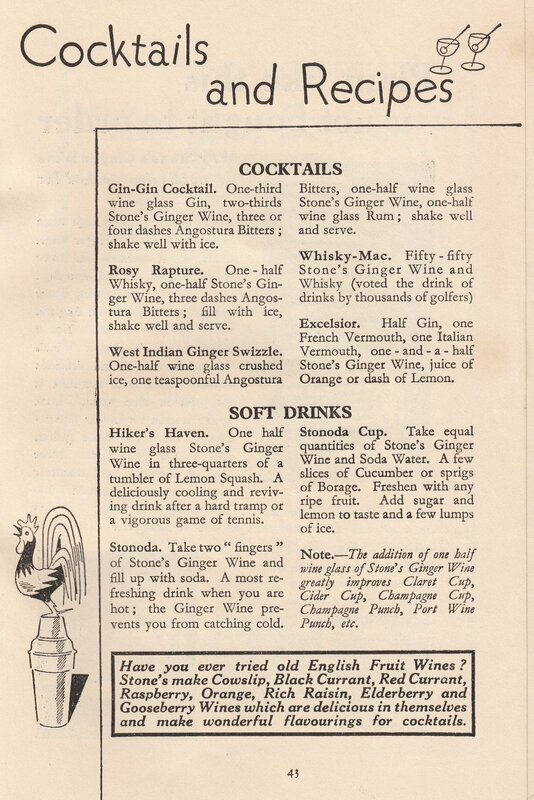 Newspapers, while carrying adverts for cocktail recipes, tended to pronounce sternly on such parties and the people who attended them. Elvira’s front room had a purpose-built, curved cocktail bar in the corner. This was a source of fascination both to the police and the press, so I guess it must have been unusual. Plenty of theatres and clubs were commissioning cocktail bars in this time but domestic homes had not really picked up on the idea – but then the “Love Hut” was hardly a typical domestic home..However, one of Elvira’s guests on May 30th, Ruth Baldwin, had in fact gone one better and converted her whole living area at 5 Mulberry Walk into a bar. The rise of the cocktail party is synonymous with the Bright Young People and The Smart Set. Like the sports car, it signified everything that was post-war, modernist, anti-Edwardian and young. 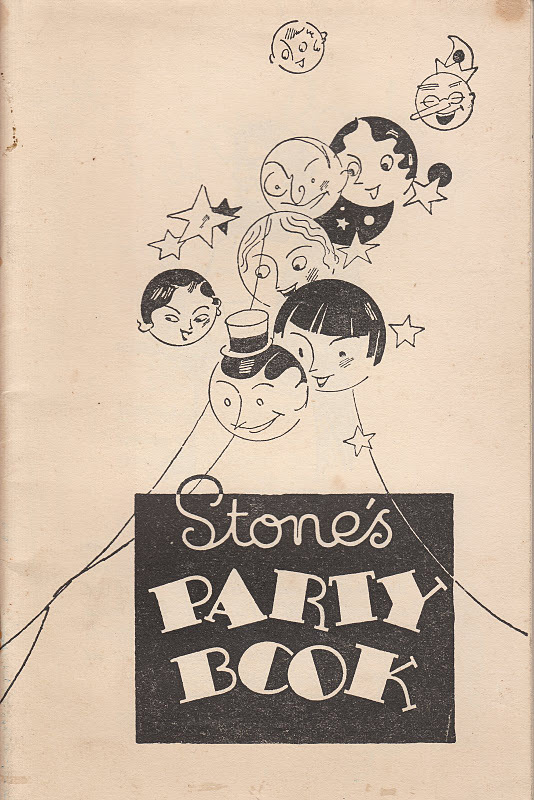 The idea was American, emanating from St.Louis in 1917 and the cocktail itself grew in popularity because of the awfulness of much prohibition liquor.In Europe the situation was rather different and the cocktail party took on a set of connotations rooted in the more class-bound cultures of England and France. Its “American-ness” was important and those who railed against creeping Americanisation cited it, along with jazz and the cinema, as a sign of national decline. However there were other factors that made the cocktail party of particular value in symbolising the upheavals and contradictions in English society in the years after the Armistice.. Most importantly, it was one of many signals of the changing role of women in society.Attractive women drinking (and smoking) is the image that occurs again and again in the many representations of cocktail gatherings. From cartoons, advertising and the cinema the message is the same – here is something new, exciting but also slightly discomfiting. Although more men than women probably attended such affairs, the iconography is overwhelmingly female . Pubs were still very masculine and rather non-U places – it is telling how little they feature in BYP memoirs. Here, on the other hand, was a space were young women could “let themselves go” in a semi-public arena. It is no coincidence that the defining outfit of the era was Coco Chanel’s cocktail dress. 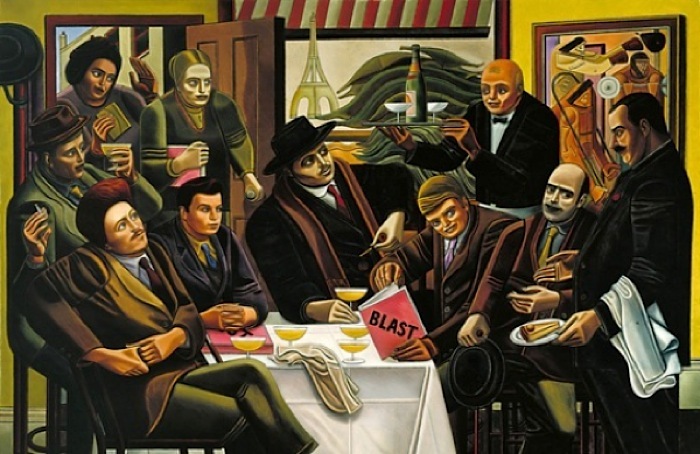 The throwing of the first English cocktail party has been variously ascribed to three figures who have already featured in this blog, Beverley Nicholls, C.R.W.Nevinson and Alec Waugh. Waugh’s is the name most usually cited but he himself gave Nevinson the credit. 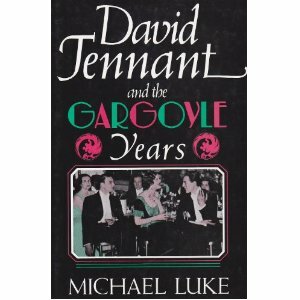 The agreed year is generally 1924.If it was as late as that, then they caught the public imagination remarkably quickly for by 1926 they had become a byword for everything that constituted the generation gap – everything the old disapproved of and the young aspired to. Cocktail parties changed the cultural landscape. It is even said that the highly mannered (and loud) vocal intonations of the likes of Brian Howard and Elizabeth Ponsonby were developed to carry over the noise of the gramophone and the animated chatter of other guests. By and large, these parties were the province of the rich and the theatrical. Most English people never attended one and most never even tasted a cocktail until the 1960s – but everyone knew about them. They moralised and glamorised, exaggerated and embellished, above all they associated them with the new sexual freedoms – real or imagined. Hence the delight that the newspapers took in placing Elvira’s party at the very heart of the affair. For who knows what sins a woman a woman who held cocktail parties on a Monday evening, in a house seemingly designed for such a purpose, might commit? 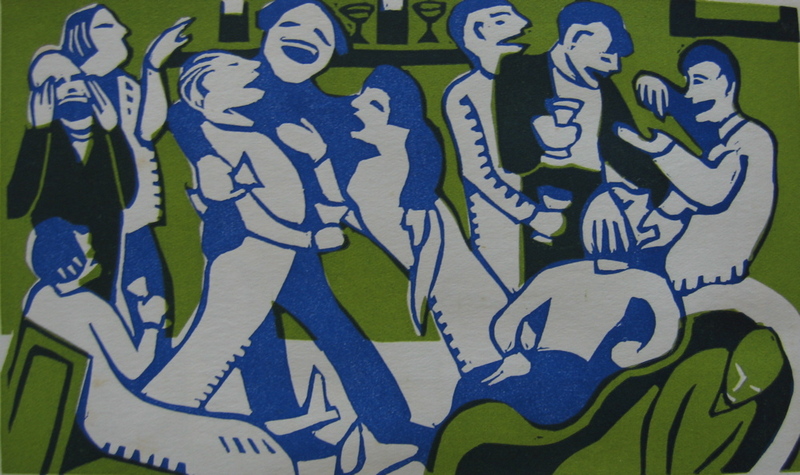 The time allocated to a cocktail party was important – generally between 6pm and 8pm. It was not Afternoon Tea nor was it Formal Dinner.It was not, in fact, formal at all. That was the key. Guests popped in and out, some danced, some just chatted. Above all it was a Prelude to other events – the theatre, a night club or a late party, perhaps all three. In this, Elvira’s gathering, unlike so much in her life, was typical. Nor were the drinks and food elaborate. Elvira provided gin-based grapefruit cocktails, sherry and, thanks to a quick trip to an off-licence by Michael Stephens and, probably, Ruth Baldwin, some whisky. 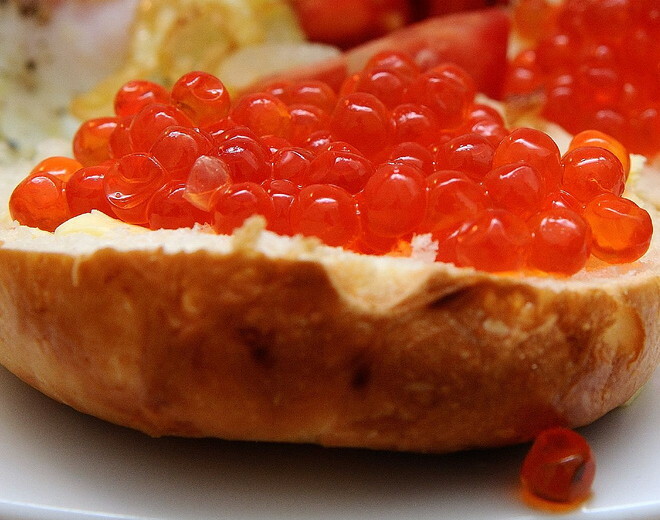 Sometimes there was caviare or smoked salmon sandwiches, sometimes no food at all. It was the sense of a meeting-point that mattered – remember, Elvira hosted or attended two or three of these events a week. No formal invitations, a phone call or an verbal invite at the last such bash summoned the guests on May 30th. This combination of exclusivity and relaxed protocol made the cocktail party, to its devotees, such a statement. Everything conspired to say, “this is not how our parents’ did things”. 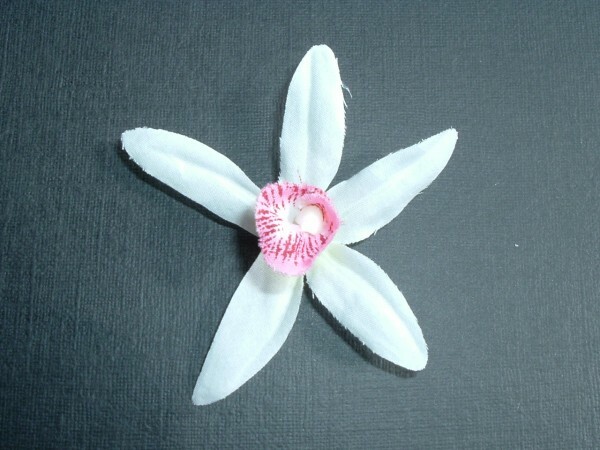 What strikes me as peculiar is how the echoes of that original excitement linger still today. Whether in retro-party form or in cynical cheap drinks promotions, the mere word “cocktail” retains the traces of this original, and long vanished, context. Sadly, no amount of “Happy Hours” or absurdly titled concoctions can hope to emulate the sense of transgression the earlier incarnations embodied. They belonged to a very specific historical moment and remain beyond our grasp.